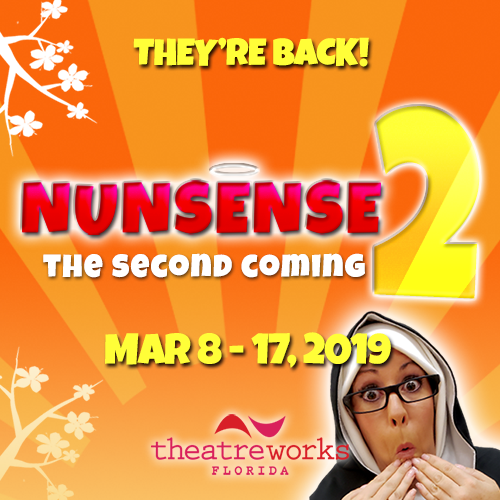 Nunsense 2: The Second Coming takes place six weeks after the sisters have staged their first benefit. The sisters are back with a "thank-you" show for everyone who supported them in the past. But now, they're a bit slicker, having been "bitten by the theater bug." Things get to off to a rousing start but before long, hysterical chaos erupts as 2 Franciscans come to claim Sister Mary Amnesia! Bring in your ticket stub for 15% off these great restaurants (valid to Mar. 31, 2019).